Sure, we've all heard the expression "dripping in gold" – but in the past it usually applies only to someone’s body, not their face. 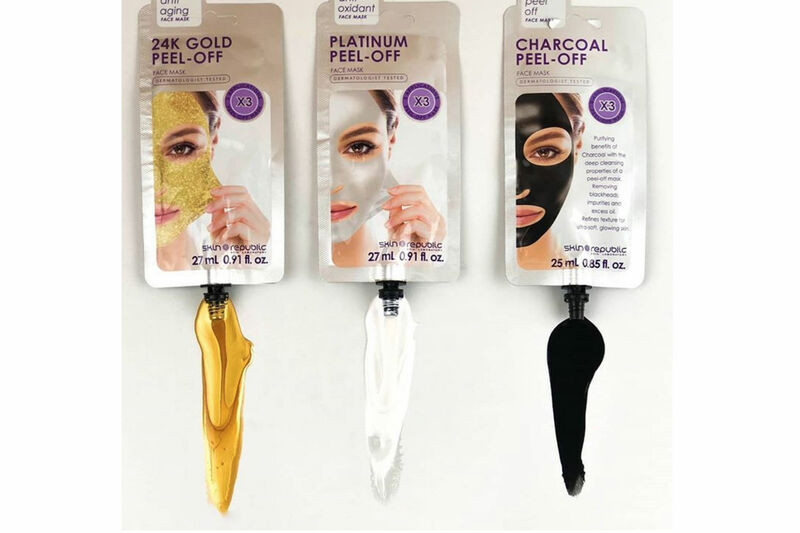 Well, that's all about to change with the release of Skin Republic's new luxury peel-off face masks, which are made from either 24K gold or real diamond powder. Skin Republic's director, Samantha Wilson, said the addition of gold and diamond powder isn't just for show. "Platinum and gold have an exceptionally high skin absorption rate, chemically attaching to active ingredients, helping them to penetrate deeper into the skin and producing better results," she said. The 24K Gold Peel-Off Face Mask is infused with real 24 carat gold, which is known for its potent anti-aging capabilities. The formulation is also rich in age-defying minerals and helps to reduce wrinkles and fine lines. The addition of fruit acids in the mask also helps to gently exfoliate the skin for a bright and luminous complexion. The brand's Platinum Peel-Off Face Mask is infused with platinum and real diamond powder. The platinum acts almost as a vehicle by helping active ingredients penetrate deeper into the skin. While the diamond powder helps clarify, balance and regenerate skin cells in turn, providing skin with a brilliant lustre. Platinum is also known to be rich in antioxidants, helping to fight against damage caused by free radicals.